Last year I had the pleasure of dining at Galatoire’s, one of the classic fine restaurants of New Orleans. And this year, I got to visit K Paul’s Louisiana Kitchen. 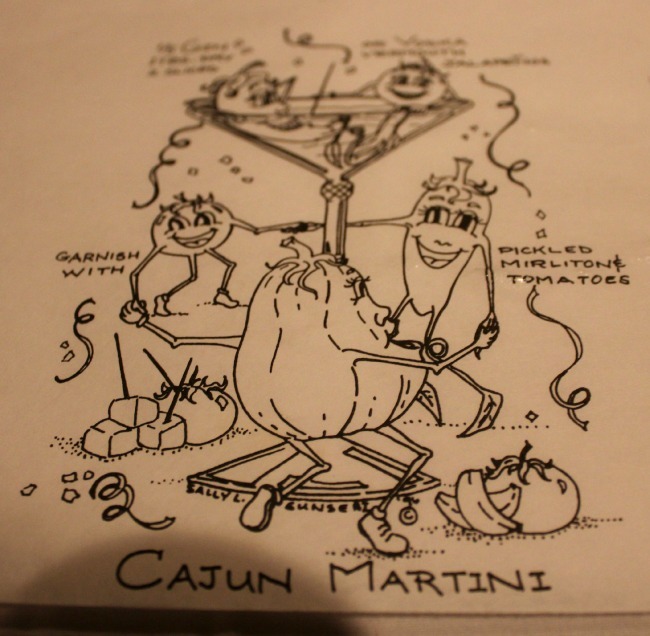 Residing on Chartres Street in the French Quarter, this restaurant had a major flash of fame, thanks to the skills of Chef Paul Prudhomme, and with his commitment to fresh food and Louisiana flavours. 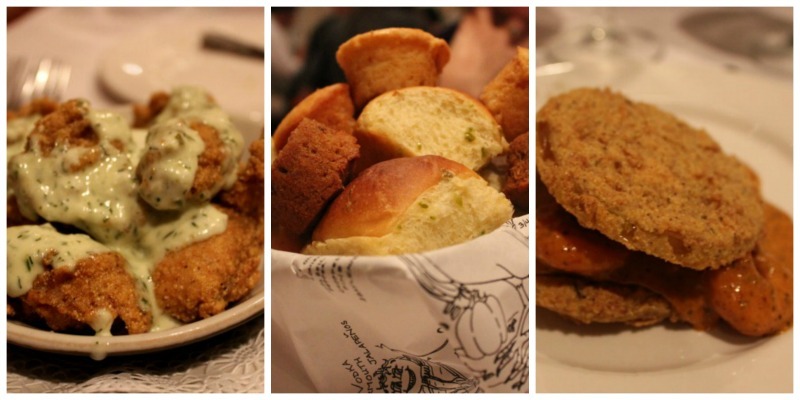 I decided to go traditional for my visit – and because it was a late dinner, I decided to go a little lighter – with fried oysters and fried green tomatoes with shrimp remoulade. And of course, a selection of housemade breads. Yup, that’s what’s considered lighter in New Orleans. As my friends and I ate and talked, our server was attentive yet never intrusive. it was a lively atmosphere, one which encouraged conversation, laughter and fun – yet still proudly a traditional dining experience. We left sated and happy for a walk around the French Quarter – while when we left, I read that the restaurant has never owned freezers – preferring to change the menu daily and always serve meals based on what was brought into the kitchens that day. Quintessential farm to table – from a restaurant established in 1979.